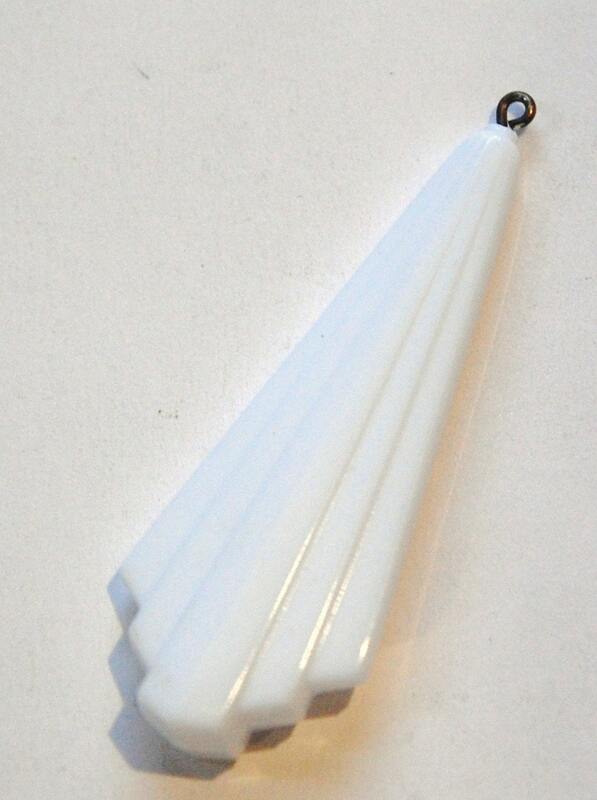 This is a vintage white acrylic pendant. The design is etched panels that get higher as they go towards the center. 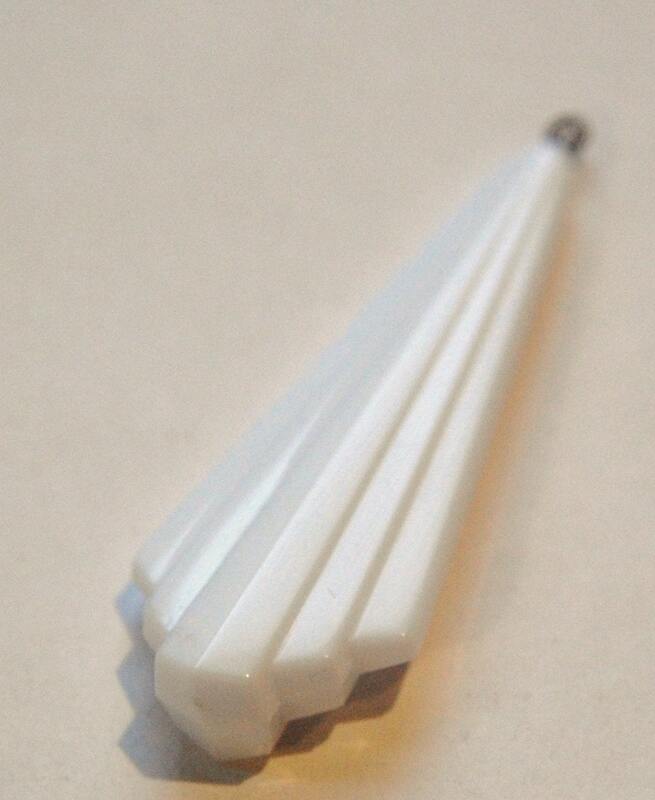 This measures 53mm long X 20mm wide. You will receive one pendant.